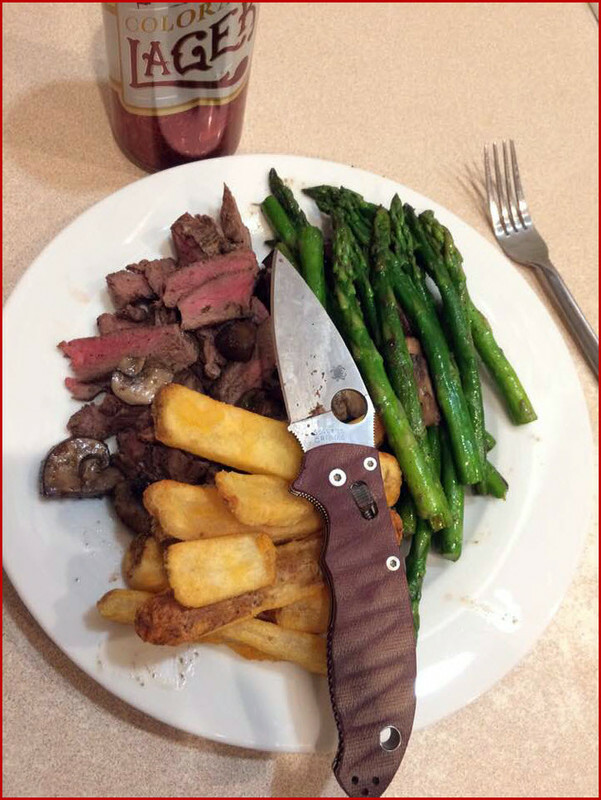 The knife must have an edge, or this technique will not work. 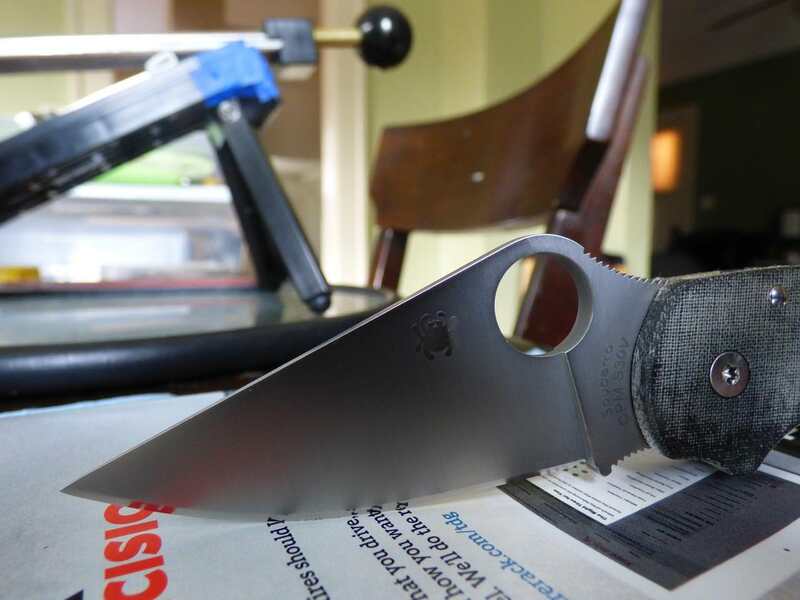 It works on the Tenacious and very quickly creates a very sharp edge. Unfortunately, I have to do this everyday as 8cr13mov doesn’t hold much of a working edge long. S110V simply blows it out of the water. When I looked at our crockery I was disappointed to find that all plates, saucers and cups are fully glazed. People are going to think I'm weird now when I check underneath all their crockery, especially in restaurants. cutting up cord to bundle wood I cut after a tree fell. 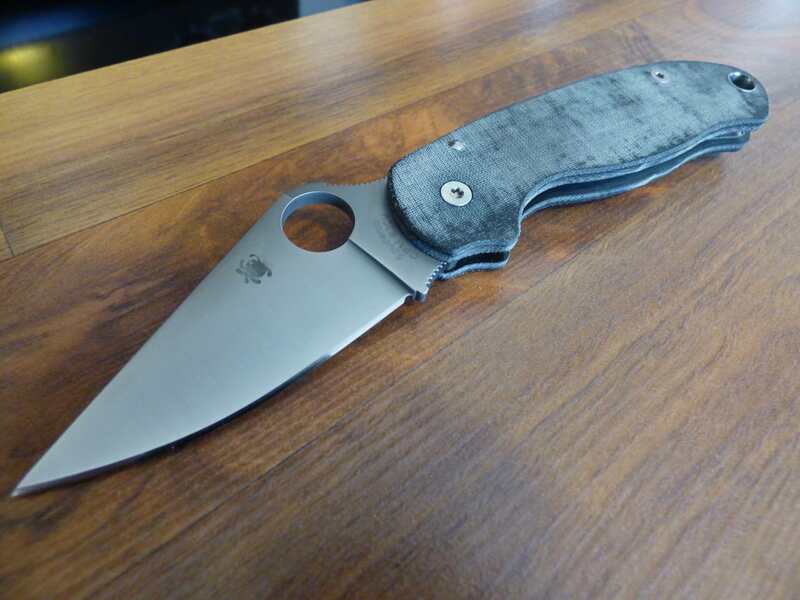 I'm diggin the (new to me) pm2. IMO sandpaper is easier to use and more effective than plates, cups, or the top of a car window. I've tried em all. I keep a small sheet of 800 grit folded up in my wallet for times I need to touch-up on the go. You can lay it flat on a desk, wrap it around a pencil for a rod, or wrap it around a sharp lip on a countertop, book, desk etc. 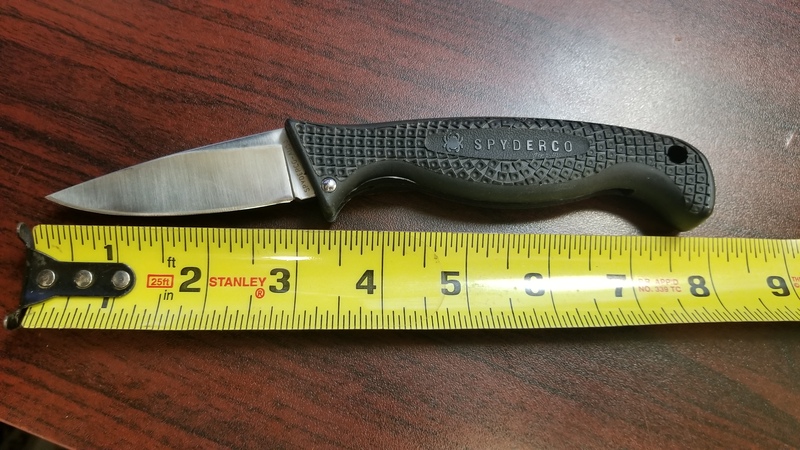 to get serrated edges sharpened. Versatile stuff. I only touch up on the bottom of plates at work, and my wharnie Delica is crazy sharp. Check your cups. They’ll work too. Of course, I steel all the time, and strop on the boxes I cut. I used it to shave a patch of hair off my arm, yeah it's sharp! My Pacific Salt got a good workout this morning. Trimmed a bunch of branches off some landscape bushes in our front yard. Some were as thick as an inch or inch and a half. 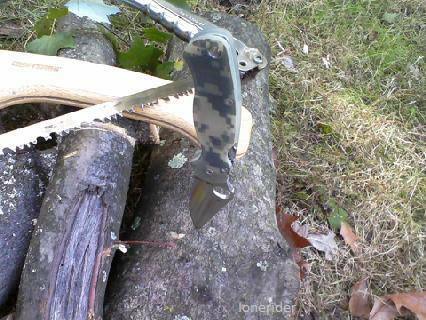 I sawed through one branch that was fully two inches thick. I know, it wasn't the right tool for the job but it was fun and it worked. I used my Plain Jane S30V Manix 2 to cut two hard eggs in half, so I could put hot sauce on them. I used this one for a post in a thread. Giving the vagabond some lime light today. Had these two out in the garden - pruning, trimming, opening potting mix bags and other miscellaneous tasks. 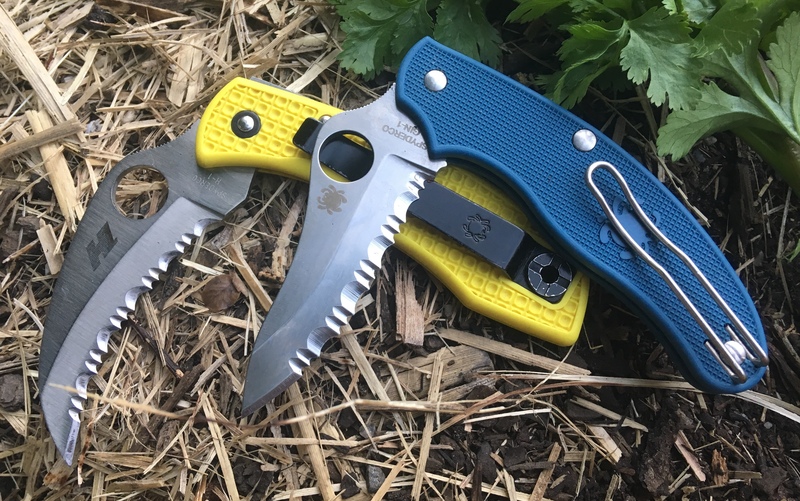 My favourite gardening knife pair at the moment. Not my Spydie, but pretty close. Made dinner provisions for the rest of the week's lunches. Opening my new Double Stuff! Been using my Native 5 Maxamet pretty hard the past few days, doing volunteer flood cleanup here in Beulaville, NC. Drywall, pex tubing, carpet, tar paper, insulation, etc. 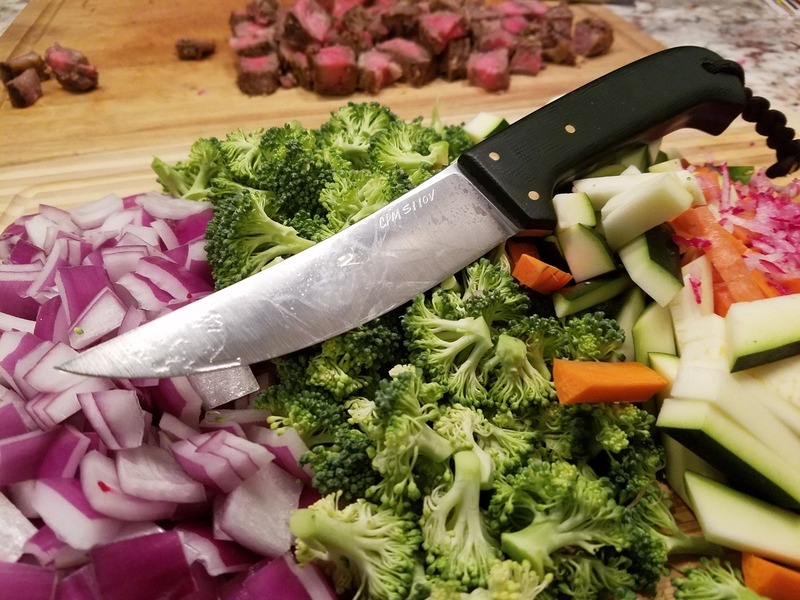 It's a good knife for the tough jobs. I'm not afraid to get it wet and filthy. And the Maxamet steel is about perfect for this kind of thing: it's tough enough handle hitting the odd nail but wear resistant enough to cut through drywall without significant dulling. The Native isn't my top favorite design, and I'd prefer G-10 to FRN, but there's no questioning it's effectiveness as a hard use cutting tool. I enjoy using it. Shoutouts to Buelaville. I grew up in Cape Hatteras and lived in Wilmington for 2 years. Just finished carving a wedge out of a piece of scrap wood with my military. I figure someone may need a wedge some time that isn't made of steel. Last of my fall yard clean up. This was a great combo. We went down to Cape Hatteras on Thursday, prior to driving home. Beautiful ocean and scenery! Opened the box from Amazon containing my new rear wiper blade. All the local parts store would have had to special order it. 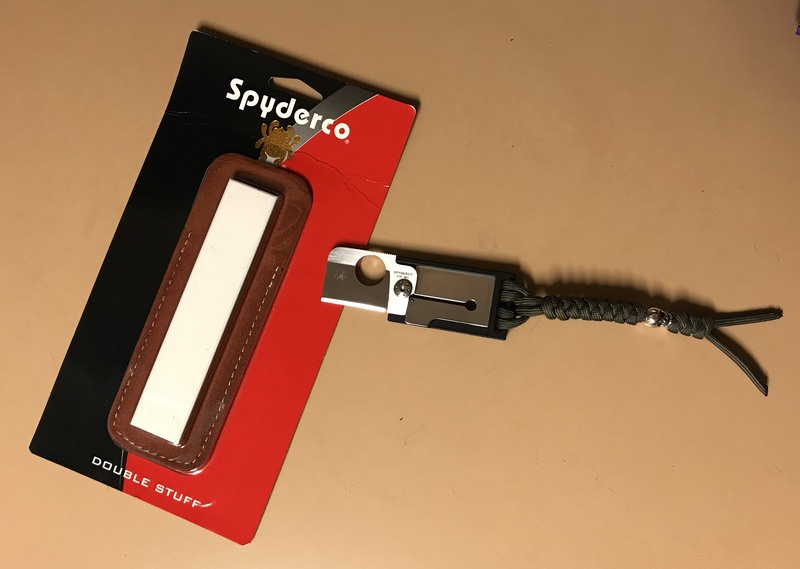 As I type this, I realize I should order another (or ordered two in the first place) to have a replacement hand ahead of time, and then just re-order the spare in the future. That is a great meal right there. Sign me up!